Registered and titled the lunchbox today. After much research, I found that you can’t apply for vanity plates in this state without proper registration. 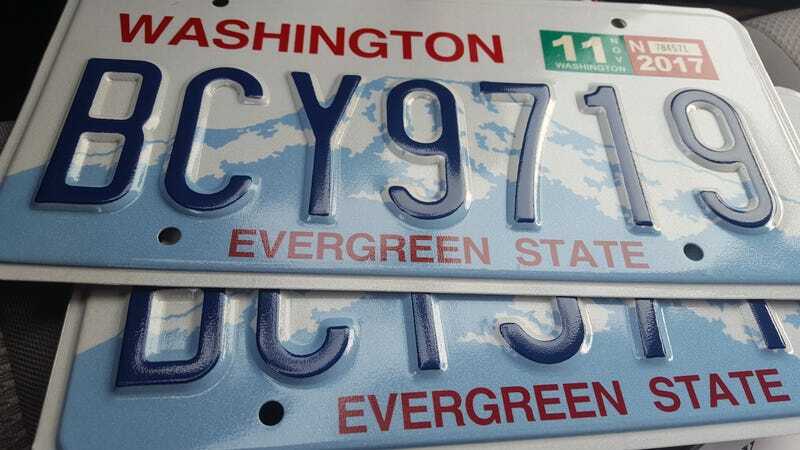 But here’s the deal: you can’t get your car registered without purchasing plates. And you cannot apply for vanity plates whilst titling your newly purchased car, because you don’t have current registration yet. What a scheme. I went to the county office to address my fears. They were confirmed by the nice clerk who had obviously broken this bad news before to many motorists. So basically I could still apply for plates now that it’s registered — but that’s an extra $179.00 on top of what I paid just today already. Sigh. $200 plates on an $1,800 bouncy house... Mmm. Might still do it later.